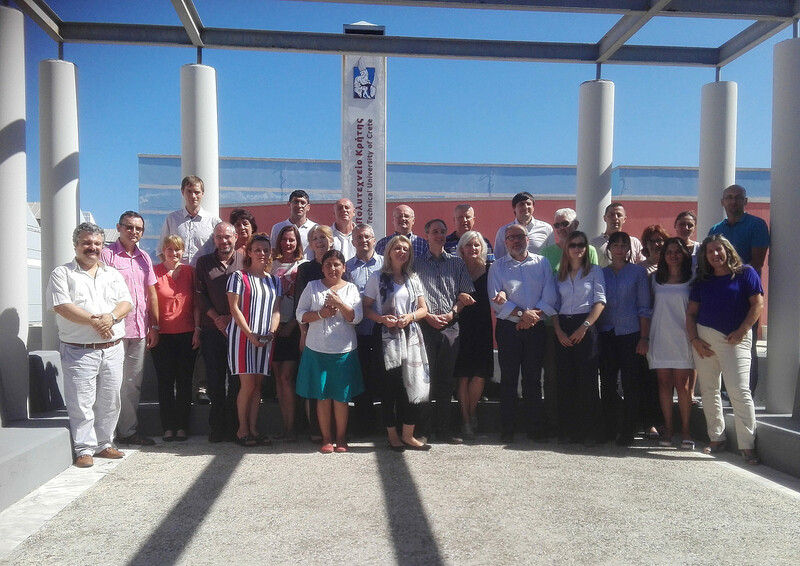 Meeting of the partners of the Erasmus+ Capacity building in Higher Education project, titled: Development of master curricula for natural disasters risk management in Western Balkan countries (NatRisk), took place at the School of Production Engineering and Management, Technical University of Crete, September 5 and 6, 2018. The project is coordinated by Assoc. Prof. Milan Gociz, from the University οf Nis, Serbia. Local host was professor Georgios Stavroulakis and Maria Bakatsaki, Laboratory of Computational Mechanics and Optimization, School of PEM, TUC. For further information and material please visit the web page www.natrisk.ni.ac.rs.